Beautiful paperback for your learning library – $24. SALE $19 It comes with ePub, Kindle, and PDF files of the book. Electronic book for all your devices – $8. You get ePub, Kindle, and PDF files of the book, DRM-free. Mathematics works so much better with others! Buy together with friends, your class, math circle, or fundraiser – or treat yourself to a bundle of titles. You save on book price and shipping. You can mix and match different book titles for this offer. Ebook discount is $3 off each when you buy two or more books. Add the books to your cart, and the discounts will apply automatically. How do you want your child to feel about math? Confident, curious and deeply connected? Then Moebius Noodles is for you. It offers advanced math activities to fit your child’s personality, interests, and needs. Can you enjoy playful math with your child? Yes! The book shows you how to go beyond your own math limits and anxieties to do so. It opens the door to a supportive online community that will answer your questions and give you ideas along the way. Learn how you can create an immersive rich math environment for your baby. Find out ways to help your toddler discover deep math in everyday experiences. Play games that will develop your child’s sense of happy familiarity with mathematics. A five-year-old once asked us, “Who makes math?” and jumped for joy at the answer, “You!” Moebius Noodles helps you take small, immediate steps toward the sense of mathematical power. You and your child can make math your own. Together, make your own math! Yelena McManaman is a blogger, education consultant and developer, focusing on young children. Yelena homeschools her son and organizes classes and events for kids. Online, Yelena helps other parents collaborate around advanced math for young children. Dr. Maria Droujkova is a parent, curriculum developer and mathematics education consultant. Maria brings together leaders in mathematics education, researchers, developers, parents and teachers for projects and discussions of family mathematics, early algebra, individualized instruction, math games and math clubs. Ever Salazar is a professor of mathematics and a mathematical artist. 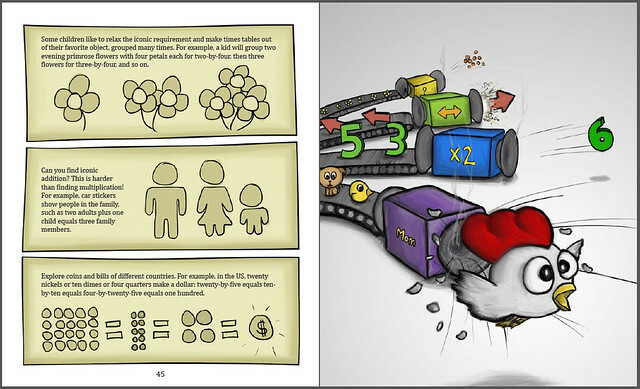 His illustrations, posters and animated videos express gentle humor, well-structured visualizations of mathematical systems, and deep compassion for learning and learners. 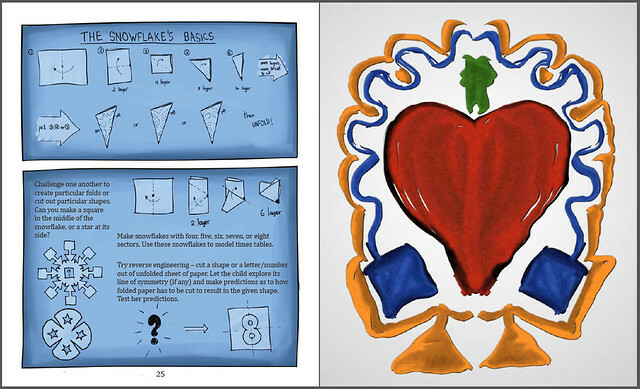 If i can have only one, which math activity book is best for a bright five year old? Heard you on Science Friday today. Hi Francine, welcome to Natural Math! 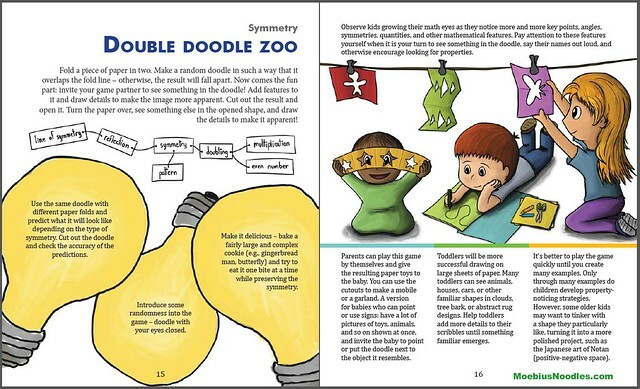 Three of our books are for parents and teachers of children like yours – Moebius Noodles, Socks Are Like Pants, and (coming this Fall) Avoid Hard Work. Socks Are Like Pants has visual arts and movement activities for early algebra; Moebius Noodles, hands-on modeling and pretend-play and storytelling; and Avoid Hard Work is all about problem-solving. I hope that helps you match what your child likes most; if not, you can always dial the PDF price to zero to check out the book. I have two daughters one is 7 years old and the other is 3 year old. 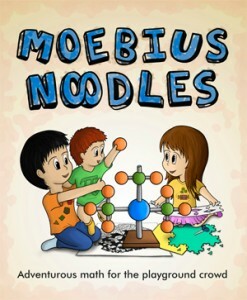 I was quiet curious to know ,if by reading your möbius noodles,will my children be able to start doing calculus? If yes then do you recommend any book,so that I can teach them by myself? The book has some calculus ideas, such as infinity and infinitesimally small objects, in the fractal part. It’s for parents and teachers who want to gain activity ideas to use with their children. You can look at sample pages here and see how they fit your style. I hope you and your two children enjoy it! I hope you are enjoying Camp Logic at home! 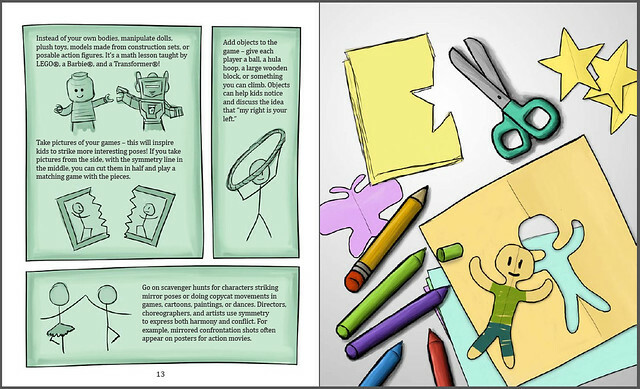 I’ve done activities from Moebius Noodles with teens and adults – if they wanted inspirational play. 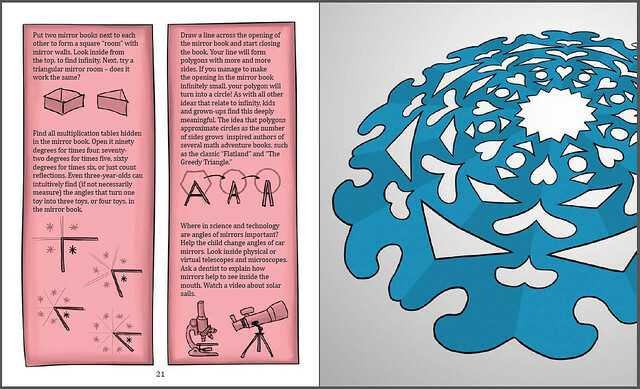 People who seek more formal, rigorous mathematics may want to look at other titles, such as our upcoming book The Fantastic Five: https://naturalmath.com/2019/01/newsletter-january-16/ If the sample pages of Moebius Noodles are not enough to decide, maybe download the whole PDF to check it out? 3 Pings/Trackbacks for "Moebius Noodles"